4 Bedroom House To Rent in Leicester for £995 per Calendar Month. HALF PRICE APPLICATION FEE. Please ask for further details. 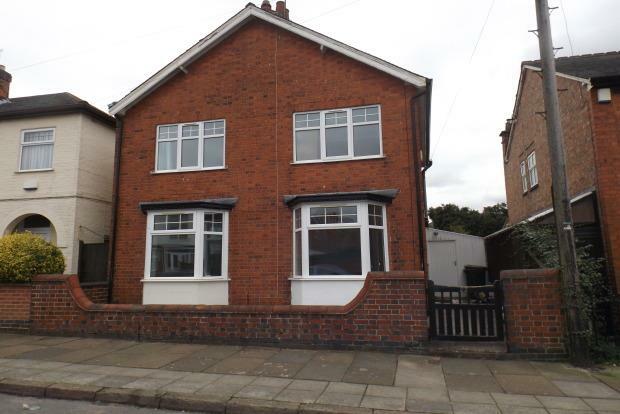 We are pleased to market this spacious FOUR bedroom detached property to rent in the popular Clarendon Park area, it is ideally located close to Queens Road which offers a variety of shops and restaurants, mini Sainsburyâ€™s and on a bus route into the City Centre. In brief the property comprises of; entrance hall, spacious living room, kitchen/diner, downstairs w.c and storage room. One double bedroom on the ground floor. To the upstairs there are three double bedrooms and bathroom with shower over bath, w.c and sink. Further benefitting from gas central heating, double glazed windows and a good size rear garden. Please contact the Frank Innes team today to arrange your viewing.